Three examples of such beneficiaries of the Archbishop’s Annual Appeal follow. What’s the best part of studying for the priesthood at Mount St. Mary’s Seminary in Emmitsburg? 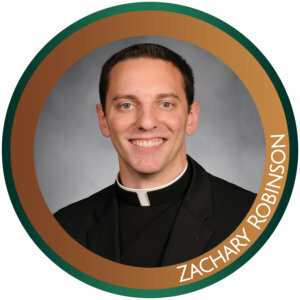 Zachary Robinson, a first-year theology student, mentioned the pastoral field education aspect of his training. In 2016-17, that saw him serve as chaplain for the Mount chapter of Students for Life. This year, it has him teaching math and religion at St. John School in Westminster. 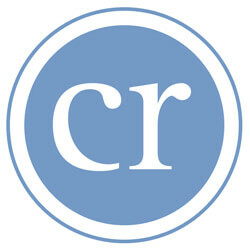 “I like when I get to serve people,” Robinson said. He came to the Mount in August 2015, backed by a double major in math and physics at Penn State University, and a master’s degree in applied and computational mathematics from The Johns Hopkins University. He was working for an aerospace company and worshipping at Our Lady of Perpetual Help in Ellicott City when encouragment from Father John Rapisarda and Father Michael DeAscanis changed his life. As a rising high school senior, Nicole Leighty, a parishioner of St. Margaret in Bel Air, was not thrilled about spending a week of her summer at a church-sponsored leadership program. 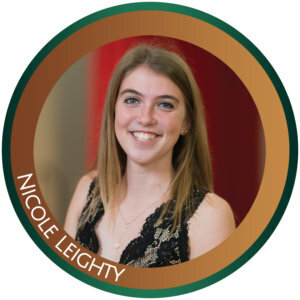 At the recommendation of her youth minister and the urging of her mother, however, Leighty attended the High School Leadership Institute, better known as High LI. It teaches emerging church leaders public speaking, program and liturgical planning, leading prayer and taking Sabbath time to rest, skills necessary to succeed in ministry. One aspect of High LI includes crafting and delivering a witness talk about faith, which often reference a trying time in one’s life. Leighty was encouraged to talk about a friend who died of a brain tumor. “Being a part (of High LI) allowed me to come out of my shell,” said Leighty, now a student at Frostburg State University. Leighty said that after getting the strength through High LI to talk about her friend, she was able to participate in more activities in her friend’s honor, including Relay for Life and an annual walk. Especially influential to Leighty were the friends she made among her peers and the staff, who came to support her a few years later when her father died. Learning to talk about difficult situations helped Leighty through the tragedies in her life, she said. “It’s worth your while, to spend a week there and become a better person,” Leighty said. Leighty’s youth minister, Kristin Rupprecht, recommended the program from personal experience – not only is she the director of High LI, she participated in it herself. 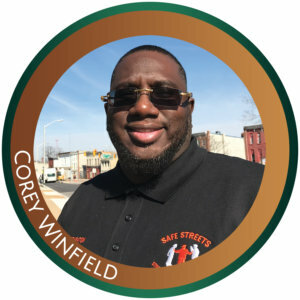 Corey Winfield, 48, is a coordinator for Safe Streets Sandtown-Winchester, a violence prevention program operated by Catholic Charities of Baltimore in collaboration with the Baltimore City Department of Health. Working out of what was a convent at St. Peter Claver in West Baltimore, Winfield directs a team that includes seven “violence interrupters.” They are a visible presence, helping people talk through disagreements rather than escalate them. In a city that recorded 343 homicides in 2017, the deadliest year per capita in its history, Winfield was once part of the problem. Convicted of first- degree murder in what he described as a “drug deal gone bad,” he served nearly 21 years in prison. Six days after Winfield’s release, his brother, JuJuan, was gunned down, dead at age 20. “I wanted revenge, I wanted to retaliate,” said Winfield, who did not, thanks to the intervention of his mother. He felt the Holy Spirit while serving an additional sentence at the Maryland Correctional Institution in Hagerstown. Now his mission entails everything from mediation to workforce education to job placement.